We are very fortunate to have 87 acres (35 ha) of land in one piece surrounding the homestead. Our 15 acres (6 ha) of vineyards are on southeast facing slopes in well-protected areas, and we partially rely on these features to control insects that might pose a threat to the grapes. The estate is located on the foothills of Black Mountain at 190m above sea level and it is situated on a slope overlooking the plain. 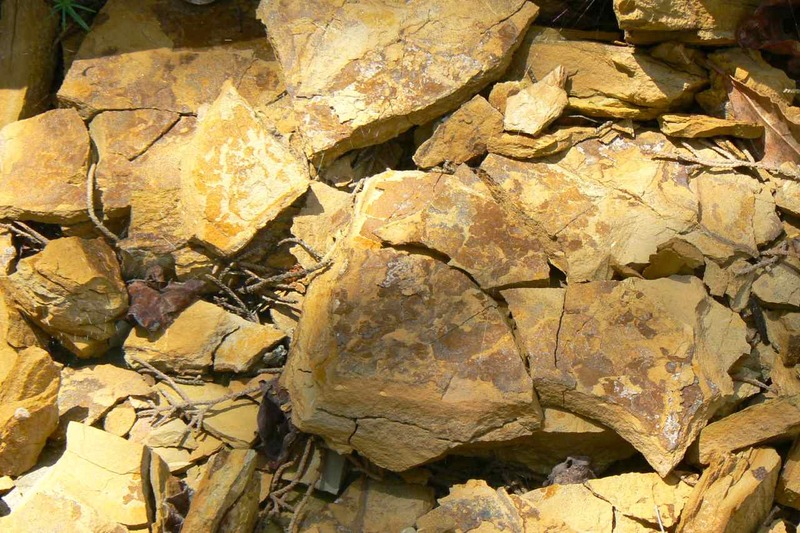 Geologically, we are located on a basin composed of a mix of clay stones, limestones, psammites, sandstone, shale, and conglomerate in between hills and the plain. 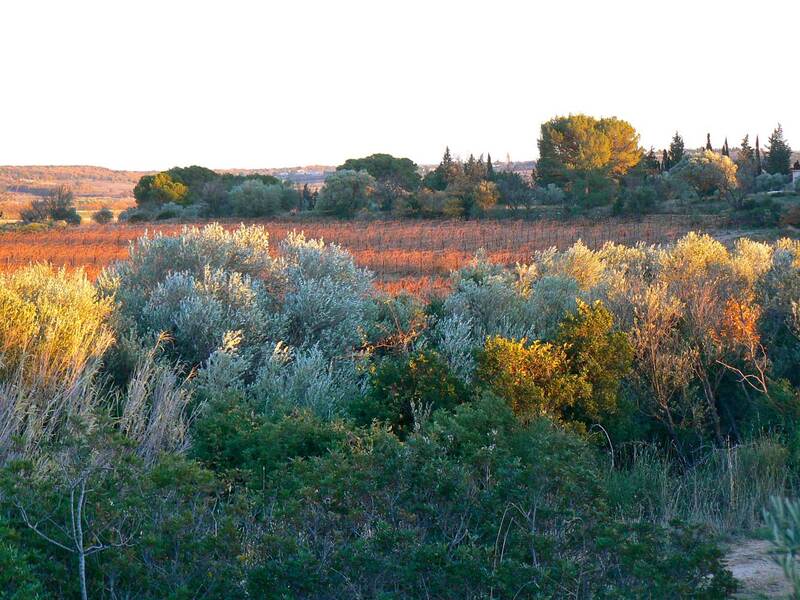 A natural environment is found in abundance on our property and includes garrigue (scrublands typical in the southern France), woods, and pasture. We also have riparian areas and a minor ravine. Old dry stone walls frame the property throughout the fields and terraces. The land provides habitat for a variety of birds, wild boars, partridges, rabbits, hares, pheasants, lizards, bats, and of course innumerable insect species. This great biodiversity is the cornerstone of growing and supporting natural biodynamics on our estate. We allow wild plants and flowers to grow in the vineyards during winter and early spring, then later control those between the vine rows by ploughing or removal. Vegetation directly below the vines is retained. The garrigue on our hills is filled with wild thyme, rosemary, fennel, as well as wild asparagus. 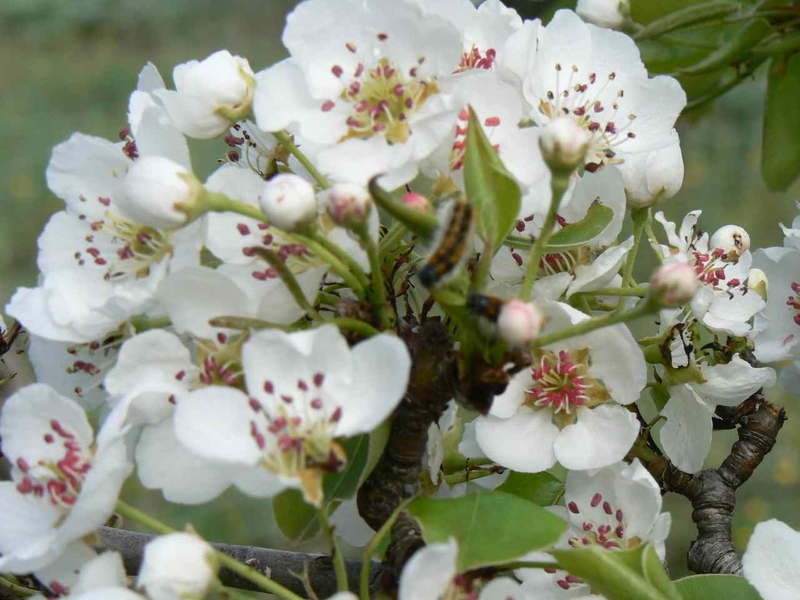 Some of the tree varieties include mulberry, almond, fig, oak, cypress, and pine. We have also blackberry bushes, and an olive grove. In our vegetable garden we grow salad greens, tomatoes,oignons, potatoes, herbs and some fruit trees. On a stroll through our land one is astounded by the the scents and sounds of this thriving environment; the smell of wild flowers and herbs, the hum of bees bringing pollen back to their hives. The diversity of flora and fauna found on La Grange de Bouys contributes to the health of the vines as well as to ours during our work. We take great interest and care to protect and promote the natural environment while developing and restoring the historic agricultural landscape of our estate. We believe that organic practices are essential for the benefit of the environment and the health of our customers. Therefore, we employ organic and biodynamic methods in order to treat the soil as a living organism. With a soil full of worms and microorganisms, one can achieve healthy vines that are naturally more resistant to disease and pests. All the work we do in the vineyard has the unique aim to produce well balanced wines for pleasure and conviviality while maintaining a preserved natural ecosystem. We believe we can make a high quality product while improving our local environment, and we welcome your interest in our work!